Every pony deserves a worthy name. But how can you decide what's the best name for your horse? This fun quiz will help you to find the perfect name to use! 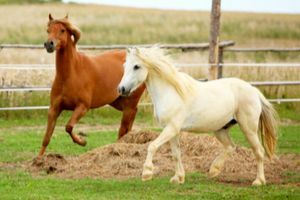 These simple, entertaining quiz questions will get to know the characteristics of your horse to recommend a perfectly fitting name for your pony. Let's begin!